Durable and affordable turf for sports. Works well for outdoor batting tunnels. No foam backing. Product is priced per square foot and is available in 12′ widths. 24 oz Polypropylene monofilament grass with latex backing. Pile height: 7/16″. Available in Wintergreen or Lawngreen. Please note a cut fee of $40 is applied to each order. 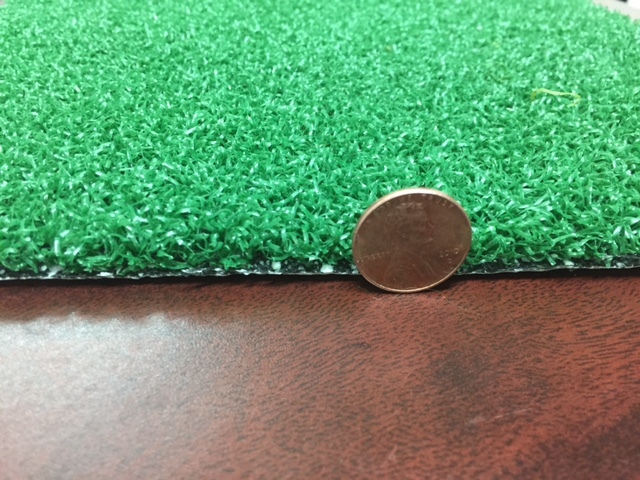 Our BP 2400 non cushion turf is durable and affordable turf for baseball and softball. It works well for outdoor batting tunnels. No foam backing.